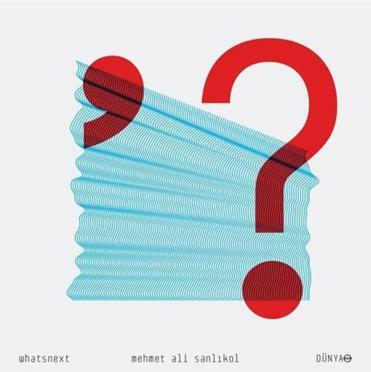 Boston-based Turkish Cypriot composer and multi-instrumentalist Mehmet Ali Sanlikol’s “whatsnext?” starts like a typical, very well crafted, post-bop big-band disc: fast swing, burning tenor solo, swirling background figures for brass and reeds. But before long, a Turkish accent has been laced into the music, in both the “exotic” scales and instrumentation. By the time of the minor-mode blare of horns in “Palindrome” (evoking Ottoman Janissary bands), the transformation is complete: a true fusion of jazz and folkloric Turkish language and colors. Sanlikol, who came to the United States in 1993 and now holds degrees from both Berklee and New England Conservatory, initially rejected his Turkish musical background in favor of jazz. He eventually circled back to his musical roots, and this collection, written between 1996 and 2000, is both technically accomplished and affectingly personal. He’s joined by Boston ringers such as reed players Mark Zaleski and Jared Sims, trumpeters Jerry Sabatini and Mike Peipman, guitarist Phil Sargent, and bassist Fernando Huergo. whatsnext play Scullers Jazz Club, Double Tree Guest Suites Hotel, Wednesday.